If we were having coffee I might glance over my shoulder from time to time, and be forced to admit that I’m worried about retribution. I pranked my daughter a few days ago and she swore payback – she’s extremely good at it! This would no doubt lead to a conversation about pranks, and I would ask if you’ve ever pulled a prank on your family and friends. It’s not uncommon for our discussions to turn to books, and because there are great examples in literature, I would tell you that my favourite Roald Dahl book is The Twits. The pranks they played on each other were truly hilarious, in a twisted kind of way! My daughter is a fan of Amelia Jane by Enid Blyton, so she has a mean streak! But don’t worry, her beef is with me so you’re safe. I would refresh our mugs and we would talk about our week. 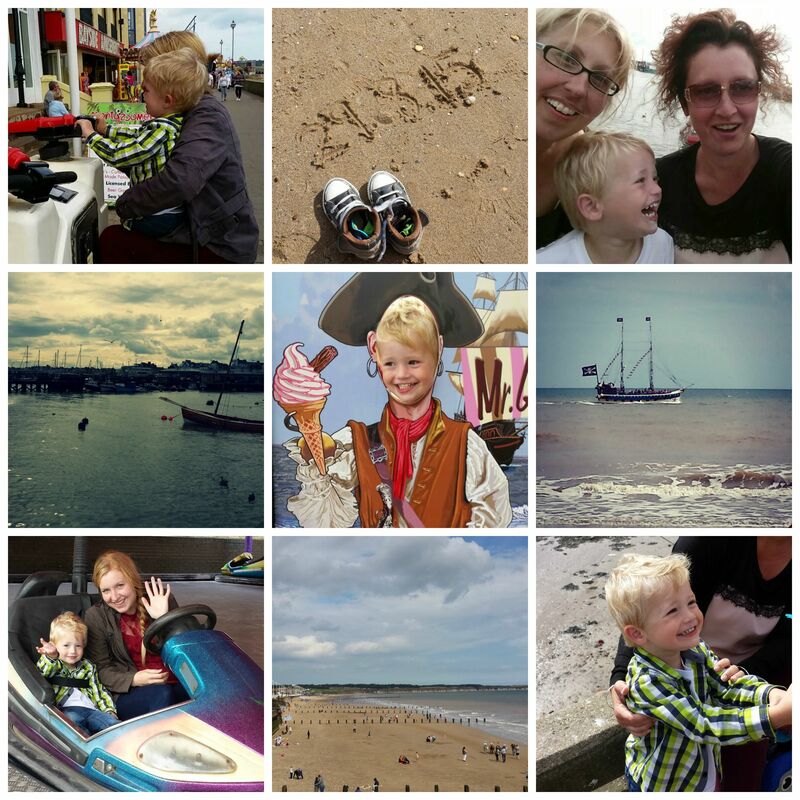 I would share my snaps from my day at the seaside last Saturday, and share my memories. We had a great time. 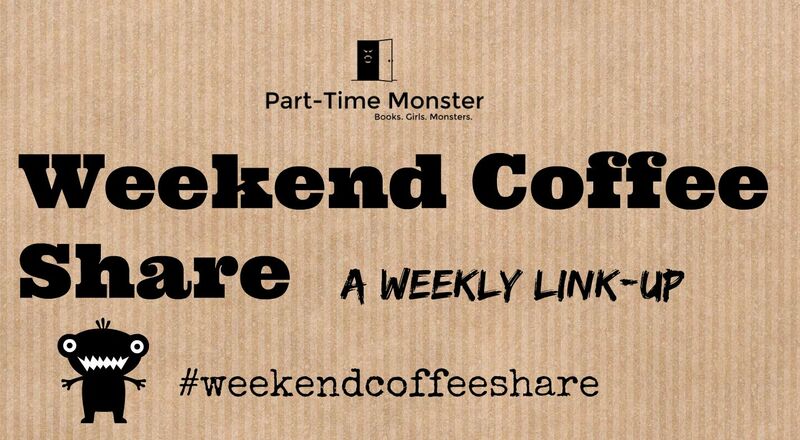 If we were having coffee, our discussion would turn to blogging, because there are several great things happening in the blogosphere right now. Part Time Monster has a special month planned for October, which I’m particularly excited about. The Insecure Writer’s Support Group (IWSG) are running an anthology contest, which is open until the 1st of November 2015. To find out more, click here. Elizabeth Tyree is running a new feature, interviewing authors and illustrators. To find out more, click here. Charles Yallowitz posed some interesting questions in this week’s round of his new feature: Questions 3. I really enjoy the threads this feature generates, and (as we are having coffee) I thought I would share the questions. You can join the thread on Charles’s site by clicking here. Q1: If you survived the apocalypse, what would be your first priority? Finding the rest of my family and friends. My first thought when considering this question was of the new television show Fear the Walking Dead. It’s a great show because it starts from the first outbreak and gives us a glimpse of what our world would be like if a deadly virus destroyed the planet. In reality, and depending on how many people survived; the dangers present, etc. I would try to get to my family. You have to consider that phones lines would be down, and the roads treacherous at best, but I would give it my best shot. Q2: Would you be a loner or gather a group and why? I’m probably going to surprise a few people, being an introvert and all. But I would gather a group. I believe in strength in numbers, and you have to build trust early. If I chose to be a loner (with the exception of family, I hope), that trust would be hard earned if forced into a situation beyond my control. I’m sure there would be ample opportunity for me to get some alone time! Q3: If one object survived the initial chaos, what would you want it to be? Probably my car. There are things I’d grab from the house, supplies I would take with me (that I assume would survive). But if I’m going on a mission to find my family and other survivors, I’m going to need some wheels! If we were having coffee, and we were satisfied we’d fully explored Charles’ questions, we would probably head over to Diana’s place – where the conversation would continue. And the coffee, of course. Lovely photos of your day out, Mel. Where were they taken? I’ve started watching ‘Fear the Walking Dead’ and am gripped as well. The bit at the very beginning, in the church, reminded me a little of the opening scene in “28 days later.” That is one movie I enjoy watching whenever it is aired. I hope your weekend is Zombie free (unless of course their are on the TV). Thanks, Hugh. They were taken in Bridlington 🙂 I’m sure my weekend will be zombie free…it might be overrun by vampires because my daughter has just discovered the Originals! Have a lovely weekend. I hope that the prank won’t turn out too badly… It looks like you had a great day on the beach. I suppose you are contributing to the October special over at part time monster? I wondered about a car, but you’re in trouble once you run out of gas. Makes me wonder how the gas stations still worked in Zombieland. As far as pranks, I’m terrible at them. My best friend since 1st grade is good and my only claim to fame is getting him once. One of our friends was getting married and I was chatting with him over Instant Messenger. For fun, I asked if him and his wife-to-be had any animals they were allergic too. Mentioned something about a carrier and then I said they were questions from my pranking friend. I didn’t realize that the bride hadn’t gotten used to his antics and the whole thing was taken seriously. So an hour later, my friend was messaging me and asking why he was being yelled at for buying them a pet for their wedding. Starting to wonder if zombies eat bikes and nobody notices. You can get into narrower passages with a bike too. The alley too big for a car? Speed through on a bike. Off road might be a little easier. The only issue would be the rider’s condition. Actually, you can also rest in a building with your vehicle in the same room instead of outside. Bikes make less noise than cars too. Seriously, why does nobody ever have a bike? Walking Dead had a horse though. Guessing the horse had better luck than the humans. Oh! Bike helmets to protect the brain. Dead Riders? The Rotting Riders? Zombies? Aren’t zombies already silly in their own way? LOL @ pranking. Once, on a road trip, a friend an I made up a story where we survived the apocalypse, went looking for each other and found Mel Gibson. That sounds like some crazy dream I would definitely want to see played out! That would be fun to go over those questions in person. It’s so much better than written. What a fun day at the beach you had! Kids add so much to those types of trips–and holidays. Not much for pranking in our house, though we did bet my friend’s big brother that he wouldn’t tinkle on the electric fence once. He did (with it off) then turned it on a low stream and bet his other brother that he wouldn’t do. Little brother was fine (we warned him and he aimed a little off)…Big brother got all cocky and tried again to prove how great he is…the best ever dance ensued. Thanks for all of the links, those sound interesting. Might have to consider jumping into some more blog hopping stuff – have a great week! You’re welcome 🙂 Thanks for stopping by. I hope you have a great week too. lol! I’m going to need it 😀 I imagine the pranking at camp was epic – great fun I’m sure. It was! So many options for things to do. That little boy is super happy! Sounds like you had a great time… hopefully you survive your pranking! !